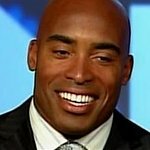 The Opportunity League is a not-for-profit corporation for handicapped children established by Tiki Barber, dedicated to promoting lifespan fitness by combining inclusive games and programs with challenging play environments in community-based, accessible recreation facilities. Their flagship facility will be developed in the Hudson Valley Region of NY, and it will the first of its kind: a recreation facility where fitness and inclusion go hand in hand; a park where accessibility and sustainability are fundamental design principles; a gathering place where individual differences and varied abilities are celebrated by the community; a collaborative environment where trained mentors and volunteers facilitate fitness, recreation, and competition for all. Children's Cancer & Blood Foundation National Black Leadership Commission on AIDS, Inc.
Google trends for "Opportunity League"
We don't have any videos related to Opportunity League.